There is nothing that beats fresh baked bread, but let’s be honest there isn’t always time for making bread. With life so busy these days sometimes we need to head to our favorite bakery and pick up a nice loaf of bread. That is what we did this past weekend; we picked up a nice loaf of French bread. I wanted to have a toast with the white cheese chicken lasagna that we served for my daughter’s birthday. I wanted something that would have a flavor that would go well, but not too overpowering. The toast had a nice crunch to it but wasn’t too hard, as my one son mentioned. 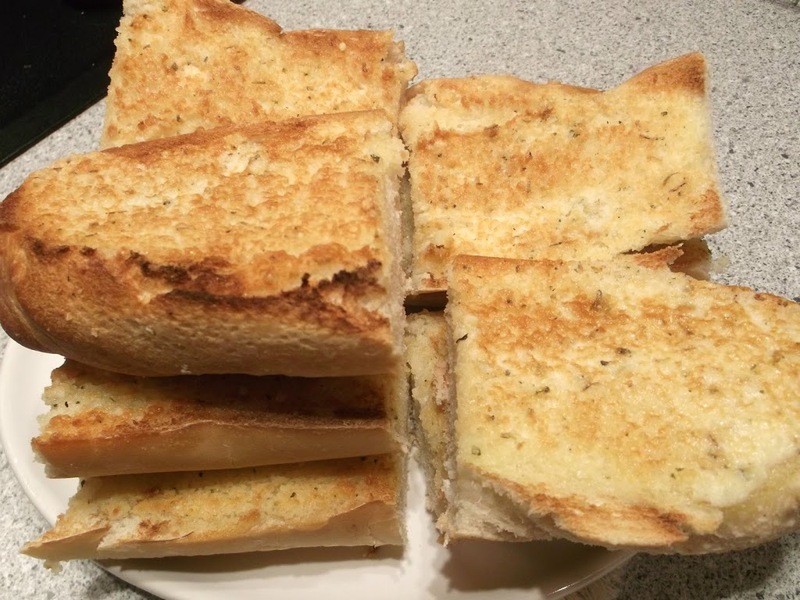 This toast is so simple to make and has a nice flavorful taste that you will want to make it over and over again. Soften 1/2 cup of butter or 1 stick; add Parmesan cheese, garlic powder and Italian seasoning. 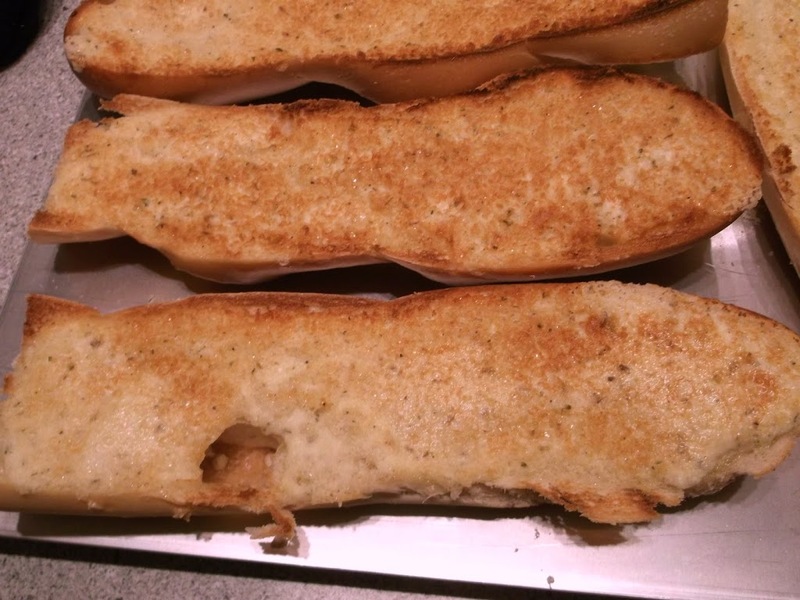 Mix until well blended and set aside.Cut your French bread in half lengthwise and place on a baking sheet. Spread with the butter mixture. Put under the broiler for 2 to 3 minutes until golden brown.Cut into individual pieces and serve. Perfect addition to all the stews and soups we will cook this season! Yum! 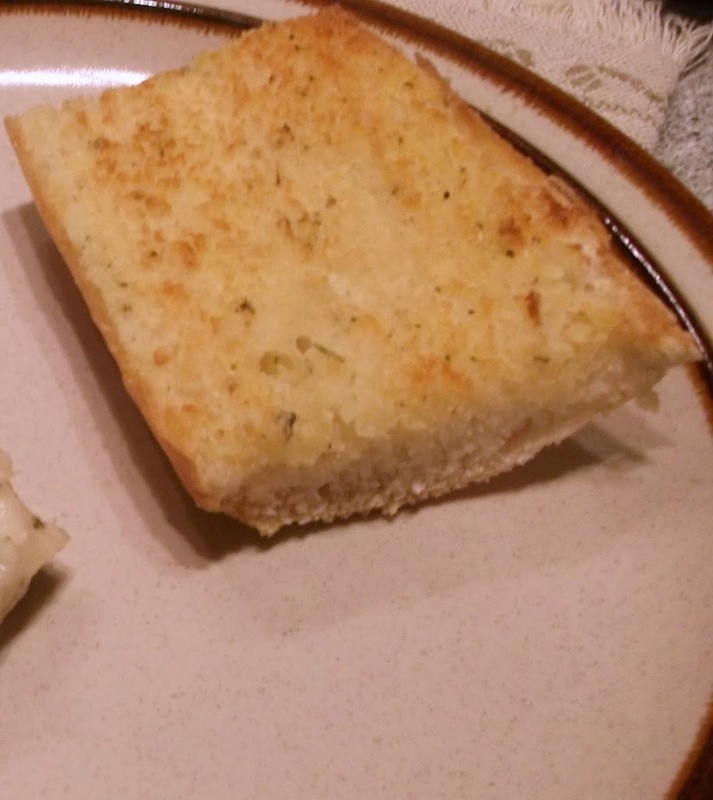 Homemade garlic bread is so much better than the packaged kind – and it’s so easy to make. My method is pretty similar to yours, although I’ll sometimes heat the bread on the griddle (with the garlic spread side face down) rather than in the broiler. The broiler method is much less messy, though. Good stuff – thanks.